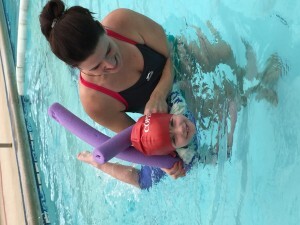 Pictured with Mrs Lumley is 4 year old Emily enjoying her first Copthorne swim. 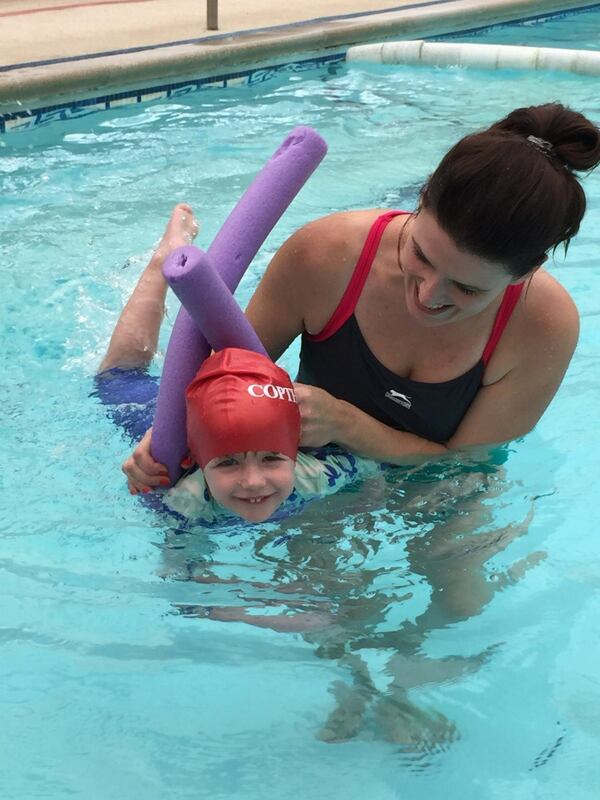 Much laughter and giggling accompanied the splashing and bubble blowing …. Becky Adlington watch this space!